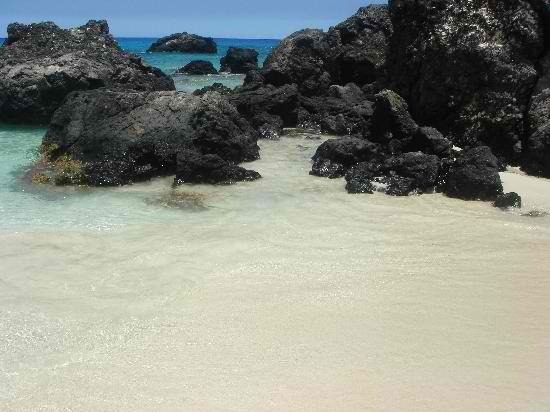 Kua Bay is a picturesque white sand beach located along the North Kona coast on the island of Hawaii. 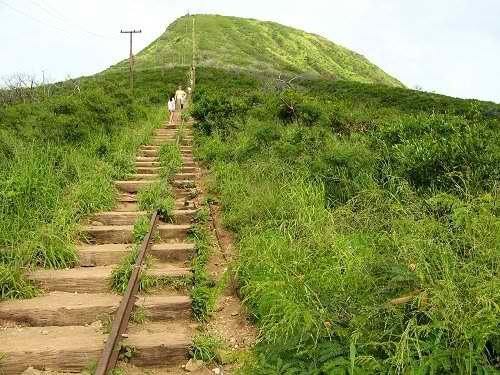 It is part of Kekaha Kai State Park and is sometimes called Manini'owali beach. 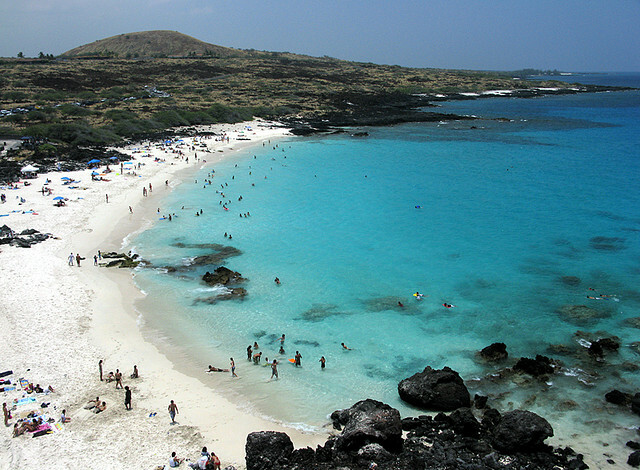 However, the name Kua Bay is more often used since it is easier to pronounce. 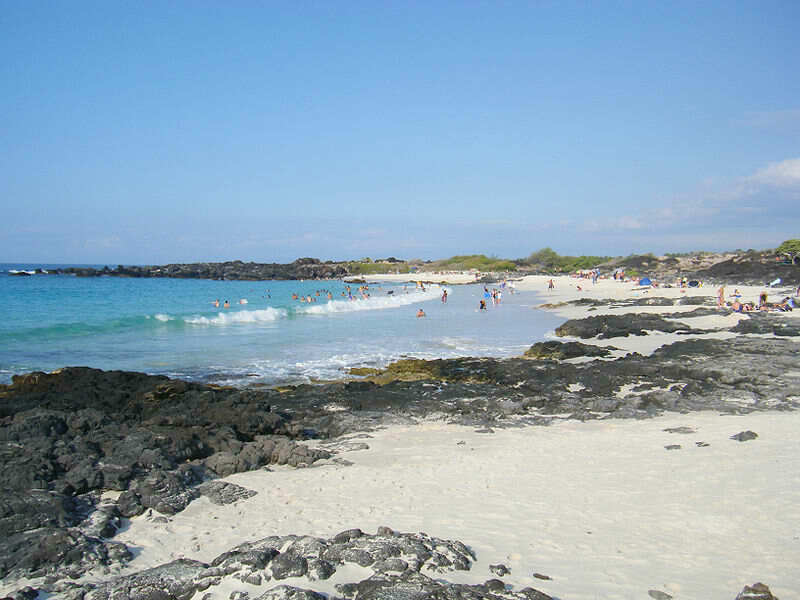 The beach can be accessed via the Queen Ka’ahumanu Highway (Route 19) north of Kona between mile markers 88 and 89. 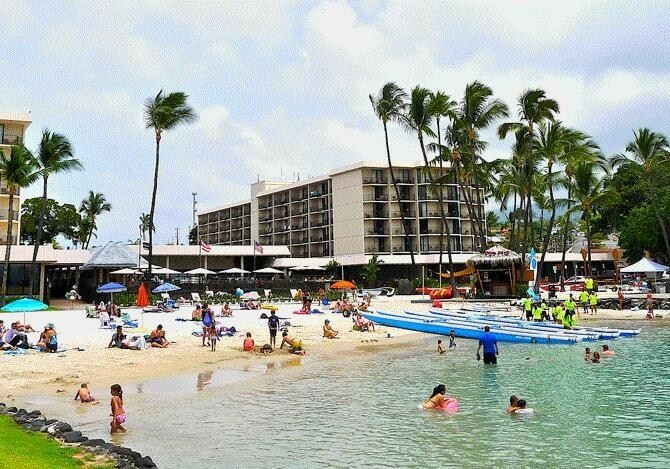 The fact that it sits opposite the West Hawaii Veteran’s Cemetery might disinterest some people but many who have been here consider Kua Bay as one of the most beautiful beaches on the island. 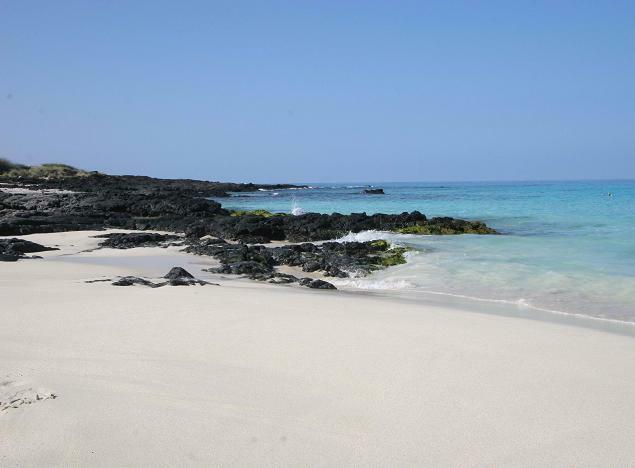 Apart from the fine immaculate white sand, the beach features deep blue, crystal clear waters and black lava rock formations that give starck contrast against the light colored sand. Water condition is generally calm during summer, ideal for swimming, snorkeling and body surfing. In winter, surf can get very rough and dangerous. There are not much trees on this beach so you might want to consider taking a hat or beach umbrella with you. Lots of sunblock is also a must if you don't want to roast under the intense Kona sun! Beach amenities are limited to showers, drinking fountains, picnic tables, and restrooms. The beach is open from 9 a.m. to 7 p.m. daily except Wednesdays. 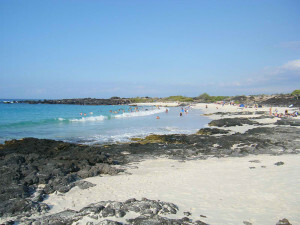 From the parking lot, visitors need to trek down a rough path along lava rocks to reach the beach below. Other nearby beaches include Kikaua Point Beach, Kukio Beach, Makalawena Beach, Kekaha Kai State Park, Kahuwai Bay Beach.